Walking into a room, you absorb the different items of furniture, the decor, the little knick-knacks that decorate the surfaces, and you take in the flooring. The flooring can be just as important for your home as any other item you want to decorate with. The flooring can make the difference in the kind of atmosphere you have in your home. For instance, hardwood flooring can give the room a more classic look. Luxury vinyl can through your home back to the 1980s if you don’t give it a little modern twist. In today’s blog, we’ll be going over the variety of different flooring options you can pick from when you hire 2 Day Flooring. First, keep in mind we don’t deal with carpet at all. If you’re interested in having no carpeting in your home and are more interested in a unique look, then our flooring company may be the right company for you. Picking the right flooring option in your home can be challenging. Not only do you have to contend with furniture, painted walls, and the other decor options, you need to make sure the flooring option is right for you and your family. For example, you don’t want to pick a flooring option that doesn’t clean up well if you have animals or small children. If you’re older or have no children, then you’ll have more of a free range to pick your flooring because you won’t have to worry about accidents. 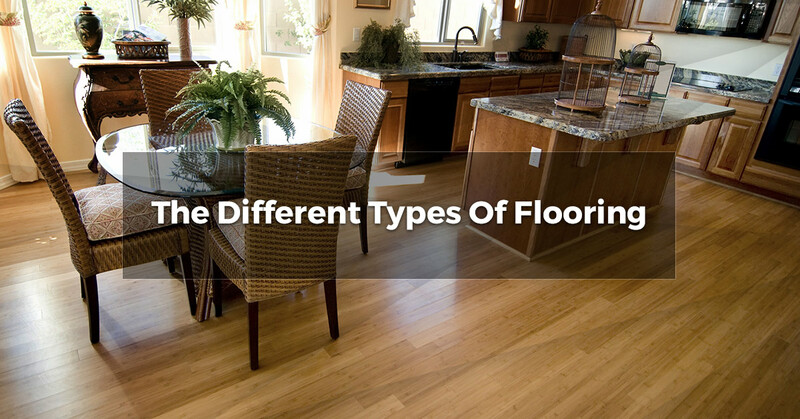 With these four flooring options, you’ll be sure to find the right option for your home. Hardwood flooring is a very classic look that many people tend to lean toward. Not only does it really bring a room together and allow you to do more with it, hardwood flooring isn’t as hard as you think to clean. With a warm and loving atmosphere, hardwood will bring some lightness into a room that you can’t find when you add carpeting. Hardwood flooring is offered in a multitude of different ways and you’ll be sure to find the right flooring option for you and your family. With so many colors, stains, styles, and flooring options to pick from, hardwood flooring is going to give you a time honored look that will always be trendy no matter if it’s 2017 or 2050. Luxury vinyl flooring is making a comeback in the year 2017. Originally luxury vinyl was a big look in the 1980s. Now, with a more modern twist, luxury vinyl is beautiful, sturdy, and easy to clean. If you have small children or animals, then luxury vinyl flooring may be the best option for you. Due to the easy maintenance of it, it’s a perfect flooring option for areas with a lot of traffic such as the entryway, kitchen, bathroom, and hallways. A vinyl luxury floor is almost resistant to accidents. 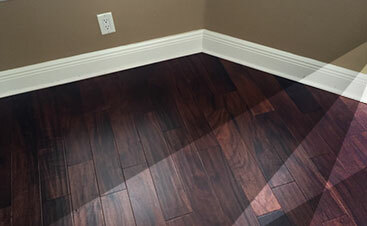 You don’t have to worry about stains, moisture, or dents when you choose luxury vinyl flooring. When you pick laminate flooring, you can take advantage of the look of hardwood without worrying about maintaining the beauty of it. Hardwood is a great flooring option; however, when you have accidents that happen in your home, then laminate flooring might be your best choice. You’ll be able to have a beautiful laminate floor, without worrying about spills and the damage they could do to your floor. Laminate flooring allows for a gorgeous floor while still being practical. You’ll be able to take advantage of the best of both worlds without worrying about any hassle while still being able to show off a gorgeous floor. Where can tile flooring go? Can it go in the bathroom? Would it look great in the kitchen? What about in the sunroom or living room? Sure! Tile flooring can go wherever you want it to go. Tile is one of the easiest flooring options to maintain and it gives your home a different type of vibe. As one of the more popular flooring options, tile will last for years to come. Along with the timeless aesthetic it offers, you’ll never have to worry about scratches to the surface or any possible stains. Sturdy, gorgeous, and offered in a variety of colors and styles, you’ll always have an array of options with tile. 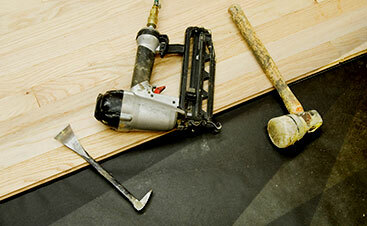 Create the room of your dreams starting on the floor when you hire 2 Day Flooring. To learn more about our flooring options, contact us for an in-home estimate.